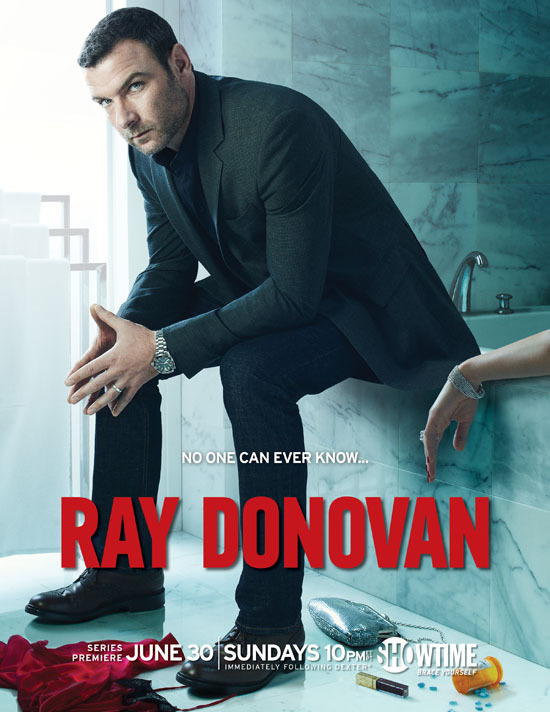 Long Story Short: Ray (Liev Schreiber) is “fixing” the lives of the rich and famous in L.A. whenever they mess up. He is is good at his job, but when his father gets released 5 years earlier than expected, his own life needs to be fixed. Can Ray handle the problems of his clients and his own past that is haunting him every other night? Review: After Dexter Showtime needs a new Show for the Summer, but is Ray Donovan the right one to attract a big crowd? It reminds me a little too much of Scandal and Banshee, but then again, it doesn’t catch your attention like the other two shows do. The actors seem to be warming up – hopefully – and not to be fully aware of their characters feelings yet, because I couldn’t relate to any of them. I was hoping for a better start, and knowing that the creator Ann Biderman was involved with great movies like Copycat (1995) and Primal Fear (1996), I would have definitely expected more.